Kuala Lumpur, Malaysia (or KL as the locals like to call it) is an urban city in Southeast Asia with a population of over 1.5 million. 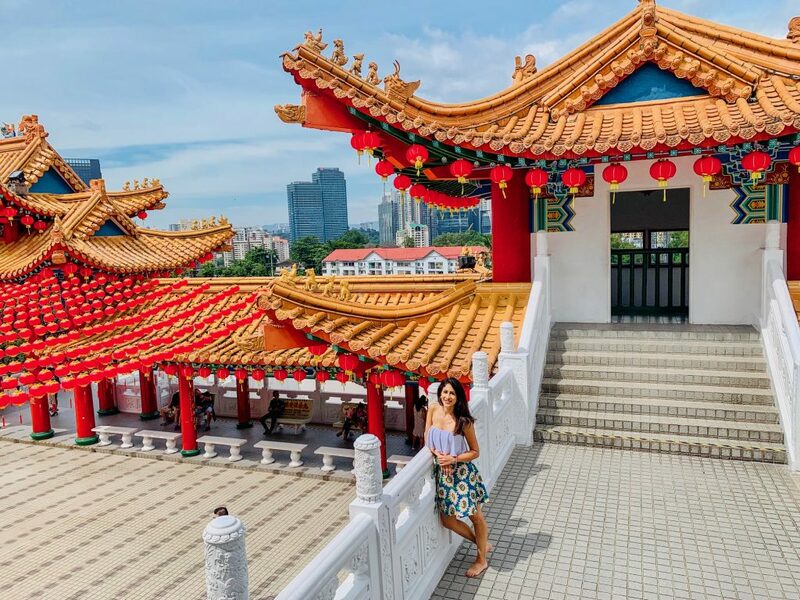 In this urban melting pot, you'll find a blend of Chinese, Indian, Malay, and Western cultures. The city showcases a beautiful blend between traditional and modern cultures, which you can see between the skyscrapers, mosques, lush parks, and bustling markets. Here is a list of 12 things one should know before visiting Kuala Lumpur. How to get into Kuala Lumpur? Kuala Lumpur International Airport is one of the major Southeast Asian hubs, and is located about 45 kilometers south of the city center. Upon arrival, it's recommended to hail a car using the Grab app (which has taken over from Uber as the dominant rideshare service in Southeast Asia). What is the recommended length of stay in Kuala Lumpur? I recommend 3-4 days when visiting Kuala Lumpur. You can check out my 3 day itinerary for KL here. Malaysia, like many countries in this region of Asia, also has a monsoon season. March - April is when Kuala Lumpur gets hit by this intense rainy season. The driest time of year to Visit is April - July. Personally, I've observed December - January as a great time to travel to Asia. We visited in December to bring in New Years and experienced a few light showers in KL--but nothing that was stopping us from taking advantage of the day! Do you need a Visa when visiting Kuala Lumpur? There is no visa requirement for U.S. citizens when visiting Malaysia for stays of 90 days or less. What is the shopping like in Kuala Lumpur? There are plenty of markets in KL and you'll want to be ready to bargain to make the most of them. These markets are great for artwork, clothing, food, electronic gadgets, etc. A best practice is to visit various shops in a market to get an idea of the average price. Then select a shop and start negotiating the price by aiming 10-15% lower than the average you've seen around. Remember to stay calm and never raise your voice. If the shop owner is not willing to meet you at a price, I find that walking away will catch their attention. The national language of Malaysia is Malay but you will find that English is commonly spoken. Nonetheless, we did experience instances where our drivers did not speak English. How do you get around in Kuala Lumpur? Taxi or Uber? As mentioned, there is no Uber in Malaysia but a similar alternative called Grab. You can order rides from this app as well as food. Grab is an affordable, safe and convenient way to get around KL. What is the Currency and Exchange Rate like in Malaysia? The national currency of Malaysia is the Malaysian Ringgit, which is equal to about 0.24 United States Dollar as of the time of this writing. In other words, you can think of a dollar as worth just a tad above 4 Ringgit. Can you drink the water in Malaysia? Do NOT drink the tap water in Malaysia! You will get sick. Stick to bottled water and ask for mineral water at restaurants. What are some foodie musts one should try in Malaysia? How do you pack for Kuala Lumpur? It's warm/hot here at any point of the year, and in December when we visited, was already noticeably humid, even though we were not even within the rainy season. I would advise a combination of lightweight, breathable clothing and shoes as well as some layers for when temps might (rarely) drop later at night. A lightweight rain layer and even a small umbrella would also be a good look. And of course, comfortable swimsuits for those afternoon pool dips to refresh the body are a must! What kind of travel insurance can you buy for a trip to Kuala Lumpur? We purchased travel insurance from Tin Leg through the aggregator site Squaremouth--a truly useful site for comparing travel insurance plans for travels of differing lengths and destinations. The total cost for a plan that covered us for a solid month in Malaysia as well as in Philippines and Vietnam was about $104--not bad. Though we were fortunate enough to avoid any mishaps on the trip, these days insurance is a no-brainer especially for the adventurous traveler, and when you can package up multiple destinations into a single plan, why not!? Enjoy your time in one of Southeast Asia's gems!